The recent NASCC Steel Conference in San Antonio, Texas, included several sessions presented by Design Data customers. These videos are now available to view online. 3D Model Review and Approval Really Works! 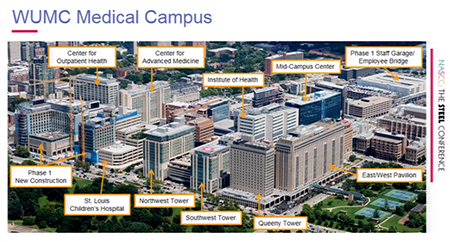 Learn how the Washington University Medical Center Campus Renewal Phase 1 project in St. Louis, Missouri, successfully implemented 3D model review and approval for all structural steel submittals. The moderated panel discussed how the idea was conceived and implemented for the project. Learn how the team dealt with such issues as stakeholder involvement, software options, specification creation, process development, and lessons learned for next time. To watch a recording of this session, click here. New developments in the modularization of SDS/2, including SDS/2 Erector and SDS/2 Approval, have helped customers capture new markets with the software. The ability for fabricators to track progress in the shop, and for erectors to create load lists and generate crane placement plans and trucking systems, are just some of the advantages of using SDS/2. Hear from our customers how SDS/2 is adding value to the entire steel construction process. 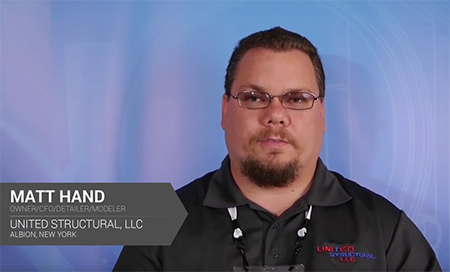 At this year's SDS/2 Users Group Conference — which will be held September 27-29 in Lincoln, Nebraska — we'll be sitting down with our customers to record their stories. We want to know how your business is flourishing, what milestones you've achieved, what notable projects you've worked on, and how SDS/2 has helped your company grow. If you haven't yet signed up for the 2017 SDS/2 Users Group Conference, click here to register. Design Data will host a New/2 2017 support webinar in August on concrete in SDS/2; the webinar will take place on August 16 at 10:30 a.m. CDT. 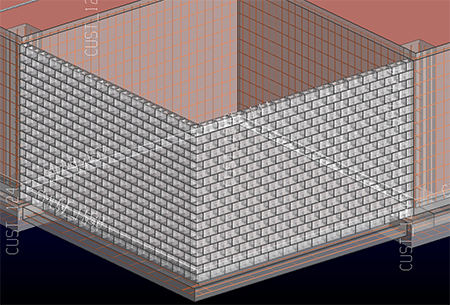 In this webinar, you’ll learn how to input the new concrete members, create voids to the concrete, add in rebar and generate tables for all the rebar.